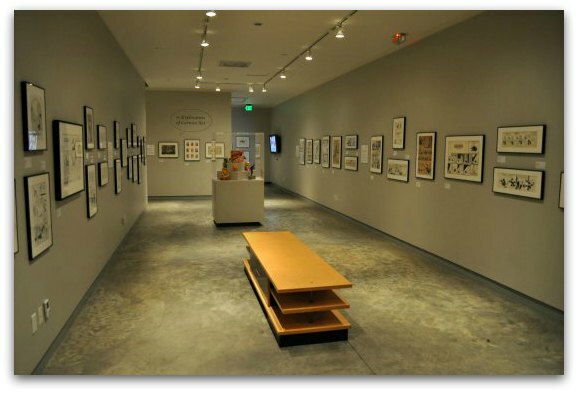 The Cartoon Art Museum in San Francisco dedicates its galleries to the history and development of cartoon art. At this attraction, you will see everything from popular Sunday comic strips to Saturday morning cartoons. They have more than 7,000 significant and historic pieces in their permanent collection on display. 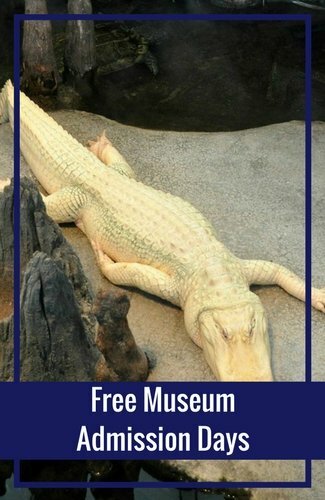 In addition, they also host ten to twelve major traveling exhibits every year. It's the only one of its kind on the west coast and is now located in the Fisherman's Wharf District. 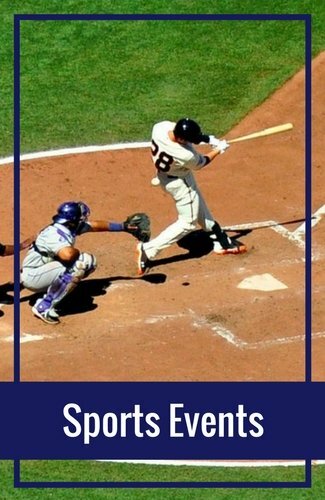 It's located just one block from Ghirardelli Square, across the street from Aquatic Park, and a short walk away from the Powell/Hyde Cable Car line. I usually spend at least a couple of hours at this museum. However, you can get lost in the comics for hours if you decide to stop and read each one. It's so much fun to take some time to really examine how much work goes into these comics as well as getting the chance to see some original historic pieces. If you love comics, you are going to LOVE the Cartoon Art Museum in San Francisco. The Cartoon Art Museum in San Francisco is open every Thursday - Tuesday from 11am to 5pm. They are closed on Wednesday and major holidays. You can puchase your tickets at the door when you arrive. The Cartoon Art Museum in San Francisco does not offer free days, but they do offer Pay What You Wish Days. This offers everyone the chance to visit this Fisherman's Wharf museum at a discounted rate. On the first Monday or Tuesday of the month, you can pay what you can afford. This art museum is open from 11am to 5pm and welcomes you to pay what you can all day long. Visit their site for a calendar of upcoming Pay What You Wish Days. The Cartoon Art Museum in San Francisco recently changed their photography policy. You are allowed to take photos as long as there is no flash. This policy can change again at anytime though, so please ask about their policy upon arrival to confirm that photography is still allowed. The concept for this museum started with a group of comic lovers and friends in 1984. They start organizing exhibits based on their personal collections. They found a permanent home for their collections in 1987 in the South of Market (SOMA) district with an endowment by Charles M. Schulz, the creator of the Peanuts comic. They moved around a few times in this district and in 2015 the Cartoon Art Museum in San Francisco closed due to an substantial increase in their rent. They search for a new home for a while and finally found a great space in the Fisherman's Wharf district. They opened at 781 Beach Street on the western side of Fisherman's Wharf in the fall of 2017. The Cartoon Art Museum in San Francisco features a permanent collection with thousands of pieces of original works. They range from historical Peanuts comic strips to newer ones such as Calvin & Hobbs. As you walk through their galleries, you will notice a wide range of ages on the comics. The oldest ones I could find in their permanent collection were two from 1913. Their permanent gallery gives you a great sense of what it's like to create cartoon art. Throughout the collection, you will see varying stages of art work. Some of these are alongside the final piece. The Cartoon Art Museum in San Francisco also hosts some of the most famous cartoon artists. 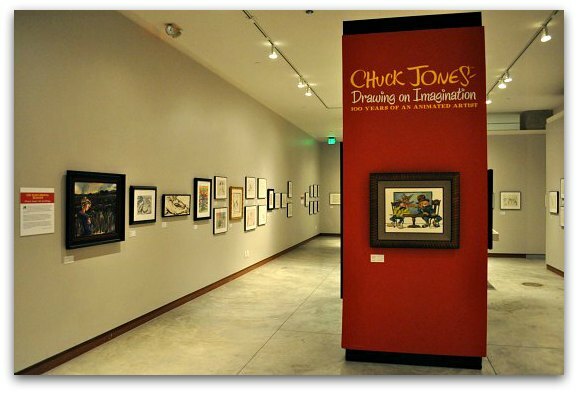 During my last visit, they were showcasing hundreds of pieces of art from Chuck Jones. Jones was famous for his work with Warner Brothers Studios. He directed many of their animated films that included Bugs Bunny, Daffy Duck and the Roadrunner. Other large traveling exhibits here in the past include MAD Comics, the Avengers and the Art of Dreamworks Puss and Boots. They also have a small area called the Small Press Spotlight. It showcases creations of local artists. The extensive research library at the Cartoon Art Museum in San Francisco is open by appointment only. Here you will find more than 5,000 volumes of works. The library has three sections: Graphic Novels & Books, Reference and Periodicals. They also have a small collection of DVDs and VHS tapes. They recommend you call a few weeks in advance to book your time in the library. You can call them directly at 415.227.8666. The Satruday Morning Cartooning class offers kids the chance to learn more about writing and designing their own cartoons. 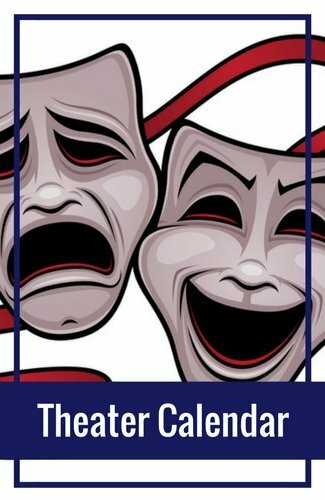 Topics include tips to create the perfect character and how to pull the story together in writing. You can sign up for just one class or an entire season of classes. This is an introductory level class. The Teen Art Titans class is an intermediate class for kids that already have a great grasp for creating their unique characters and working on their comics. In this class, your child will learn how to take their concept and turn them into a mini-comic strip. You can sign up for just one session or an entire series of sessions. You will find them at 781 Beach Street in Fisherman's Wharf. It's located on the western side of the district near Buena Vista Cafe and Ghirardelli Square. You can easily get here on foot from any location in Fisherman's Wharf. 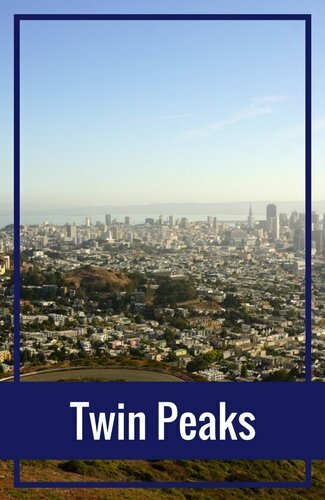 You can also take the Powell/Hyde Cable Car from Union Square. It's right across the street from the final stop on this route. You will find several places to park with just a few blocks of the Cartoon Art Museum in San Francisco. These are a few of the best options nearby. Note: Parking rates can change any anytime. These will give you an estimate on rates for each location, but please confirm pricing for the day before you park. Ghirardelli Square Garage: The closest place to park is kat 900 Northpoint Boulevard in Ghirardelli Square. This lot starts at $5 an hour for the first hour and $8 for each additional hour. Rates are $35 for up to 12 hours and $40 for up to 24 hours. Hyde Beach Garage: Another great option is at 655 Beach Street. This is about a block away from the Cartoon Art Museum in San Francisco. This indoor garage starts at $10 for the first hour and $8 for each additional hour. It's $42 for up to 12 hours and $46 for up to 24 hours. You will find several hotels within a short walk to the Cartoon Art Museum in San Francisco. Here are just a few of my top picks. Argonaut Hotel: I love this hotel for a variety of reasons. It's seaside decor is fun and playful. This 4-star beauty also offers luxurious amenities and is in the heart of the Fisherman's Wharf action. 495 Jefferson Street. Read recent guest reviews on Booking.com. Suites at Fisherman's Wharf: Just a couple of blocks away are the Suites at Fisherman's Wharf. This hotel offers 24 suites with kitchenettes, a roof top deck with amazing views, and a convenient location to all of the SF Wharf attractions. 2655 Hyde Street. Read recent guest reviews on Booking.com. Holiday Inn at Fisherman's Wharf: This option is about two blocks away and a more budget friendly option. It's a larger hotel with a heated indoor pool and walking distance to all that the Wharf has to offer. It's a 3.5 star hotel at 1300 Columbus Avenue. Read recent guest reviews. The Cartoon Art Museum in San Francisco is in a fantastic location. It's in the heart of one of our busiest districts and close by many top activities and attractions. 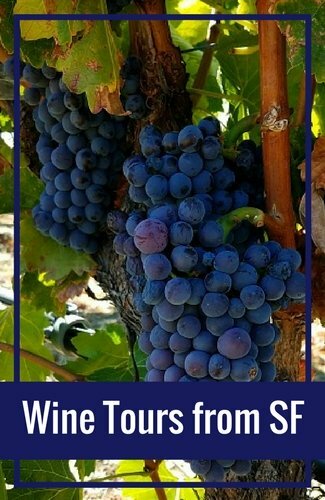 Here are a few recommendations to add to your itinerary that are nearby. Pier 39: One of the top draws to this district is Pier 39. This renovated pier is home to attractions, shopping, restaurants and entertainment. Top options include the 7D Experience, checking out the sea lions in action, and the Players Arcade. Aquarium of the Bay: This family-friendly attraction on Pier 39 offers several hours of fun. The aquarium features the plants and animals of the SF Bay. You can walk through two aquarium tunnels, spend time on the hands-on pond area, or get lost in the peacefully floating jellyfish. Bay Cruises: Another popular option in this district is the bay cruises. 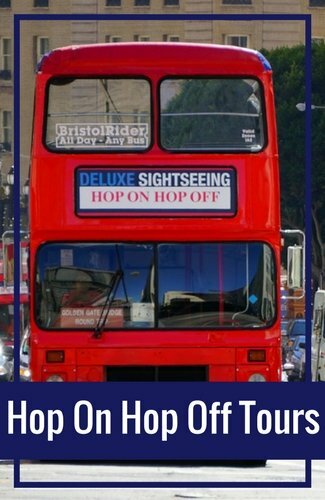 You can head out during the day for a 60-minute cruise (find tickets at a discount for this cruise on Goldstar) or a 2-hour evening cruise. 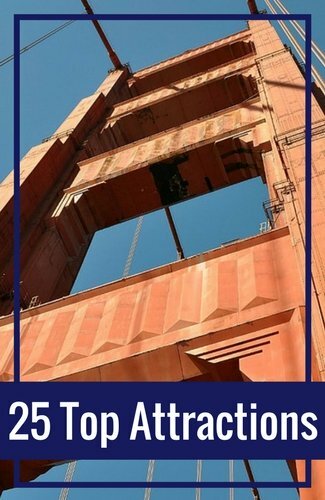 All ride under the Golden Gate Bridge, around Alcatraz, and offer narrative so you can learn more. What else can I help you with as you plan your visit to the Cartoon Art Museum in San Francisco or the Fisherman's Wharf area?